I work at a pretty busy bike shop. Our shop sponsors a team and a group riding club. There are always people coming in and out with odd bike fixes and questions. Over the coming weeks I’ll do a Q & A series around some of the most common questions I get in our shop. I’ve got a pretty good list of material to pull from since we’ve been around for almost 20 years! 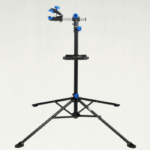 What tools should I get? One of the most frequently asked questions I get is this one: What are the most basic and essential bike tools that I’ll need in my home shop to do my own maintenance and repairs? 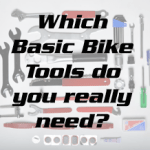 The answer obviously depends on a lot of factors like how handy you are, how familiar you are with working on bikes and what type of bike you have. 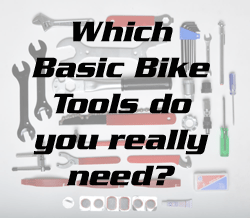 For simplicity I’ve broken down this list into the most basic tools you need in just about every shop/garage and those tools that I’ve deemed “essential bike tools” that you need for specific bike maintenance. There is also a 3rd category of tools that you should have with you on every ride – CRANXX calls these “every day carry” (EDC) Tools. 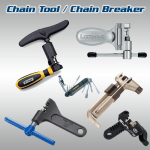 Check out the CRANXX Bike Tool Introduction & Definitions page, Wikipedia or Sheldon Brown’s site if you are uncertain about any of the tools I mention below. Take your bike to your local bike shop when buying the tools, so that you can see those tools which are ambiguous in action (and maybe even get a few pointers on how to use them at home). Keep in mind that I don’t feel that any multi-tool is ideal for the home shop. They are great as EDC tools but they cannot and should not be the answer to your home shop tool kit. Take the hex keys you have and ensure you have enough to address every hex bolt on your bike. Get an open-end wrench for every nut on your bike.You can get a good set at Lowes/Home Depot. If you plan on adjusting your brakes, derailleurs or shifters then you will need a decent set of screwdrivers in various sizes. 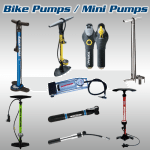 A quality set of tire levers for repairing tubes & tires. Quality chain lube. You’ll have to decide if you want a wet or a dry lube (or even wax) but then make sure you buy the best you can. A good wet lube is TriFlo. You must remove all the old grease if you decide to repack the bearings but it’s also helpful to degrease your chain before re-lubing.Get at, and discuss use with, your local bike shop. Thread lock compound. Blue (remove with tools) is the strength you want. Red (remove with heat) is inappropriate for bike. (This is the only item that I don’t feel is a “have to have” but more of a “nice to have” in a home shop. Lint free towels & rags. These come in handy for cleaning your bike, greasy parts & your tools. It’s important to keep your tools clean. Chain break. 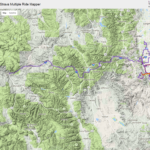 You should replace your chain every 1500 miles (or when your chain gauge shows it’s worn). If you are running a fixed gear or single speed you absolutely need a chain break. Chainwhip – This tool spares your hands when trying to tighten on a cog or cassette. Torque Wrench. Most bolts should be properly torqued. Drivetrain bolts REALLY should be properly torqued. If you can’t justify a nice clicking one get a cheap spring-gauge one. Cartridge/Cassette tool. You really should replace your cassette every 3000-5000 miles (or when teeth begin to “shark fin”) You need to make sure and get the correct tool for your cassette nut. Crank Puller. If you want to maintain or replace your bottom bracket you need to get your crank arms off. You likely won’t be doing this much and if you have skills and patience you can do it with a leather mallet and wedges, but let’s just go ahead and recommend one of the less expensive crank pullers. Tool to take out your bottom bracket. The tool depends on the type of bottom bracket you have. Get a spoke wrench, but prepare to find a bike mechanic who can show you how to judge spoke tension. I believe it’s nearly impossible to learn this over the internet. Chainring Nut Tool. 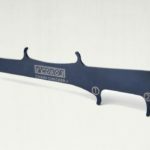 This is a $4 or $5 Park Tool tool which holds the back of your chainring nuts as you tighten the bolts up front.Wanna scar up your right calf? Let your chainring taco by not tightening the nuts properly! A headset wrench is nice if you plan on maintaining the bearings supporting your fork and steerer tube. 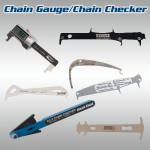 Thiscan be done with other wrenches assuming you have a decent mechanical tool selection, but if you are starting from scratch on your tool set then it’s a good idea to get this in the beginning. Lockring wrench/spanner. This will come in handy when removing any lockrings on your bike. If you have loose bearings in your wheels (as opposed to cartridge bearings) get two cone wrenches of the appropriate size. If you plan on doing your own bearing repairs you might also want to get a strong magnet for removing your bearings (unless they’re ceramic of course). The above lists should be all the tools you’ll need to do your own home maintenance and repair. 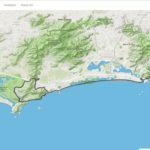 You can find how-to articles and videos on this site as well as on YouTube. Remember, most bike mechanics are happy to help you out with information, tips and tricks if you just give them a little beer (or beer money)!